It's that time of year again! I love Christmas! Who doesn't? Ever since I moved into my own little place I haven't stopped rearranging/decorating my pad. 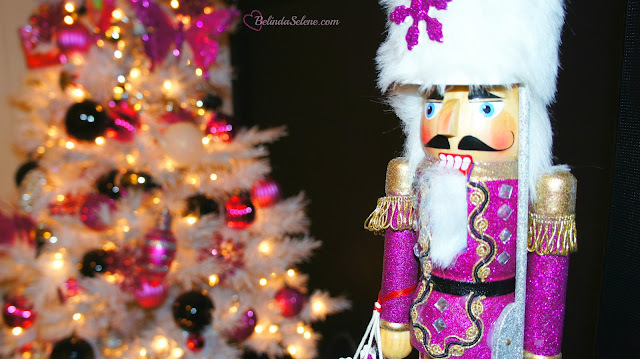 All my Christmas decorations are pink of course! This is one of my favorite places in my living room. I wanted to dress up my dress form, which I still haven't named, the pink hat and skirt are so cute I really wanted to display them! 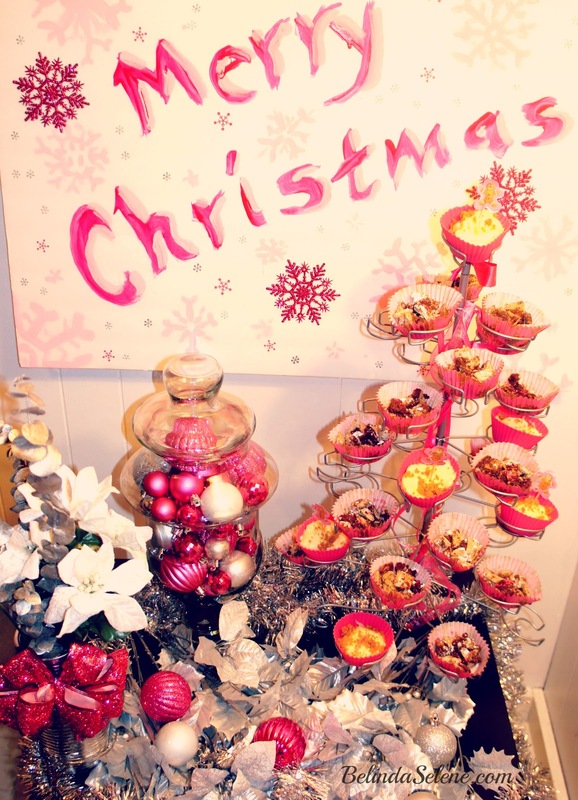 As for my coffee, table I just added some pink ornaments to contrast the silver potpourri. Who says ornaments are only suppose to be displayed on the tree? I think it makes my coffee table look more festive! Here is how I displayed some of my ornaments last year on the corner of the dessert table. Your decorations are so cute. Where did you buy that mannequin ? So cute! That mannequin love!!! !